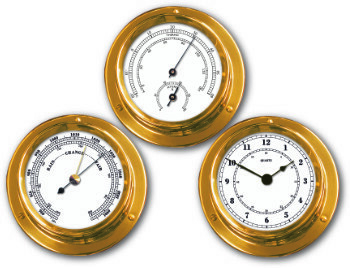 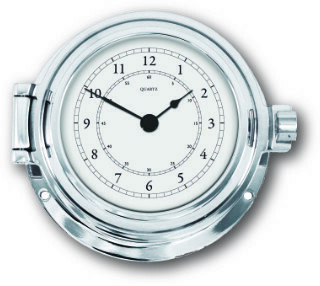 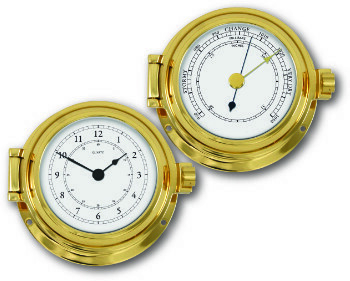 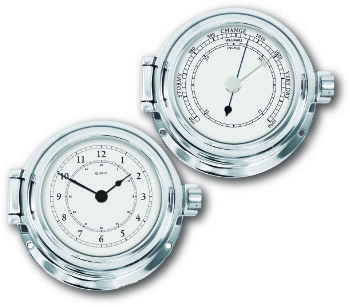 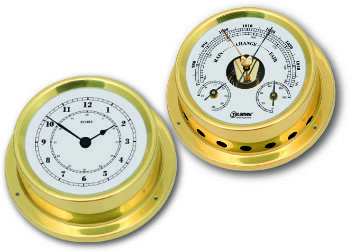 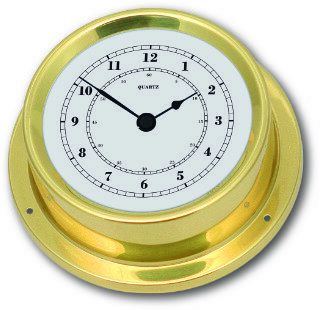 Because of the importance of an accurate and sturdy timepiece as an aid to navigation, a ship's clock is one of the centerpieces of any vessel's bridge. 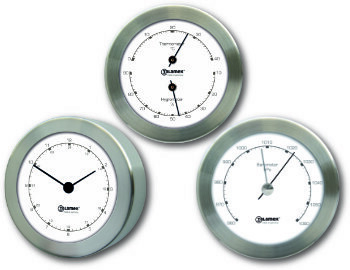 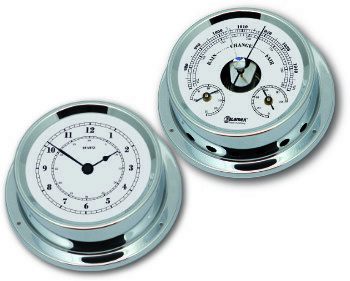 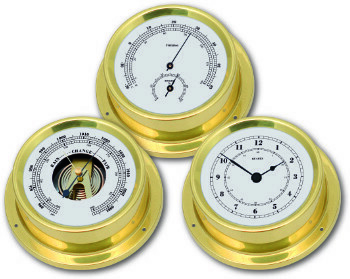 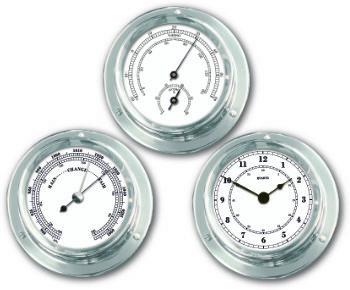 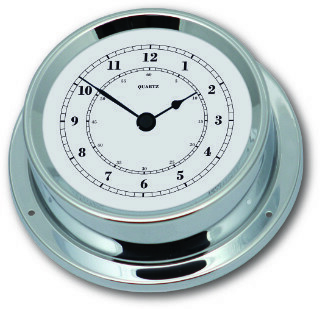 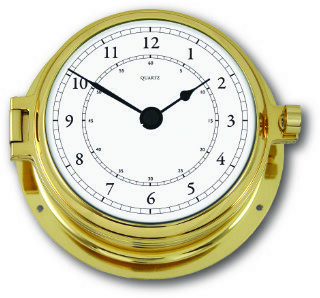 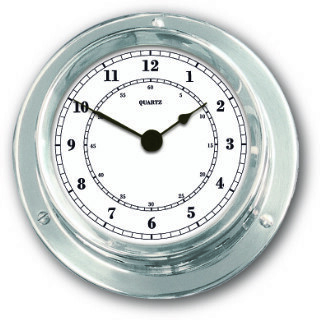 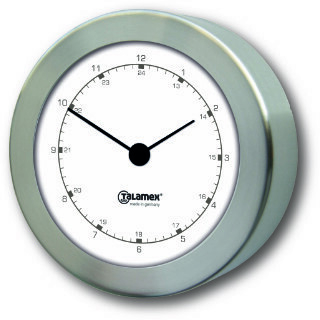 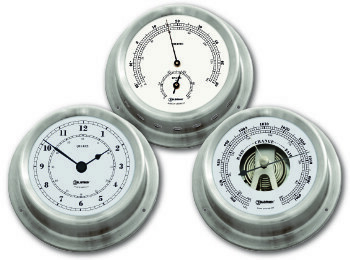 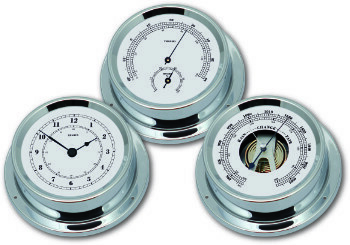 Our battery powered quartz clocks are robust but beautiful, and come in a range of materials so you are sure to find one which matches the décor of your boat. 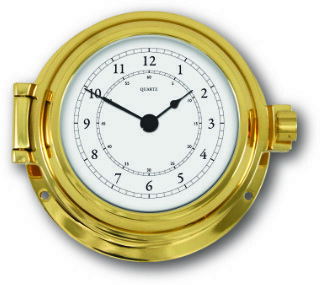 You can choose between stainless steel, polished brass, solid brass and chrome plated brass for either modern or traditional feel. 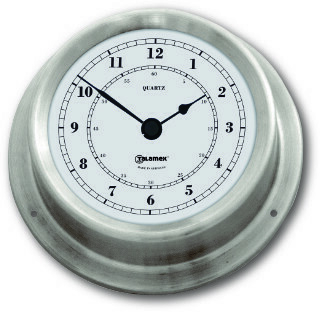 Wall plate 115mm. 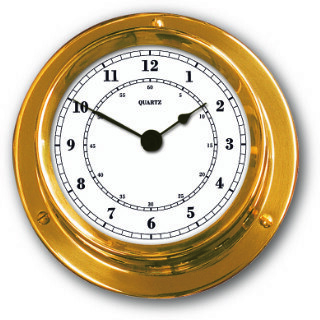 Mounted with three screws (provided).